Whole House and Multi Room Audio Perth. Fill your home with music! 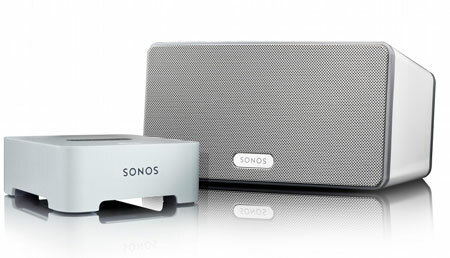 If you love music, you’ll love Sonos and Paradigm. When it comes to multi-room audio there are only two brands worth considering. Sonos and Paradigm. At Crown Security we’ve installed countless multi room audio systems throughout Perth homes. Play music in one room, or many. Playing the music you own, or endless playlists and commercial stations streaming from the internet. It’s a wireless multi-room music system unlike any other. One that sets up flawlessly and expands effortlessly. So, are you ready to experience multi-room audio? Both Sonos and Paradigm multi-room audio systems let you play all the music you want, all over your home and control it all from the palm of your hand. With wireless ZonePlayers in the rooms of your choice and any device as a controller in hand, you can add music to every part of your life and every room in your home. Now you can enjoy your music in any room of the house. There’s no more need for messy cables running up the wall or along the floor. On a budget? That’s fine, with Sonos you can start in a few rooms and then expand when you’re ready.